There are many opportunities to become involved and active as a volunteer for the Granville Historical Society.These can be activities in which you use skills you have or activities in which you learn new ones. Ways that volunteers have contributed to the Society include becoming a host/hostess in the museum, cataloging and preserving historical artifacts, digitizing photographs and documents, designing and posting website content, taking programs to schools and community groups, setting up museum exhibits, guiding walking tours of Granville, or writing for our publications. Perhaps you can bring new ideas and skills to some part of the Society’s mission to preserve and share our community’s history. Some volunteers work in groups on projects led by members of the Board of Managers with special experience and skills, such as the group working with our collections manager to describe and enter pertinent information about each and every artifact in our collection into our museum data base. Other volunteers work on their own to research and write an article for The Historical Times, or spend a few hours in the garden pulling weeds and removing spent blossoms. The thousands of documents in our archives are also being photographed and prepared so that researchers can use the power of computers and the internet to retrieve information saved from hundreds of years ago in letters, journals and newspapers. Perhaps you would like to design and sew a dress or suit for someone to wear as one of the pioneers of Granville or perhaps you would like to “be” Charles W. Bryant or Theophilus Rees for a program. One of the most visible positions is as a host or hostess in the museum during our open season where your primary role is to welcome visitors to the museum. You will have opportunities to interact with a wide variety of people who are interested in the history of Granville and to share stories of the village and its residents. As a beginning host/hostess you will serve with other volunteers who can share their knowledge and you will have multiple opportunities to learn about the museum’s displays and the town’s history. Printed guides, other available resources, and your own expertise in areas such as genealogy, pottery, or technology will give you special knowledge about some of our exhibits or ways to connect with visitors interests. 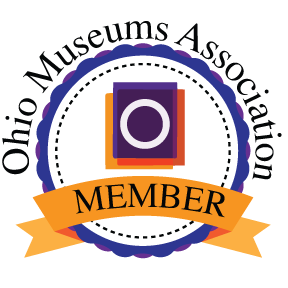 The volunteer coordinator will assist you in learning how to open and close the museum and how to be watchful and protective of the artifacts on display while helping visitors have a positive experience. In return, you will hear many interesting and fun stories from the visitors. Visitors come to the museum from central Ohio, all of the United States, as well as foreign countries. The volunteer coordinator organizes the host/hostess volunteers in order to keep the museum open during our posted hours. Being a museum host/hostess is a very enjoyable and rewarding experience. Fellow volunteers are engaged in the community and make for a pleasant work environment. Rather than being expert historians, our volunteers are primarily “people persons” who enjoy meeting strangers and making them welcome. To find out more about becoming a museum host or hostess, please contact the Granville Historical Society’s Volunteer Coordinator Keith Boone or the GHS office.